Allergy-proof your home with these tips! Allergy season has come and gone. However, that doesn’t mean that there aren’t still allergens lurking around your home. If you suffer from allergies, there are plenty of triggers around your home year round. Take steps to alleviate your allergy symptoms, and check out these allergy prevention tips for your home. The more you clean, the fewer allergens in your home. When you clean regularly, you get rid of dust around your home, which helps to keep your allergy symptoms in check. However, use a damp cloth when dusting to pick up all the dust. Otherwise, you just spread the dust around. 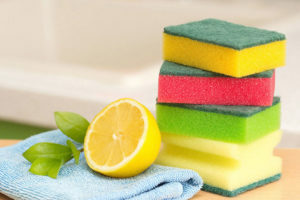 Cleaning products can help keep you home clean. However, they’re packed with chemicals that can be irritating to your respiratory system. To help curb your allergy symptoms, find ways to use alternative cleaning methods. Try using a natural remedy like a vinegar mixture, or look for gentle cleaners at your convenience store. Carpeting may be soft, but it harbors a plethora of allergens. Deep clean your carpets regularly to keep allergens away. Steam clean your carpets a few time per year, and spot clean with a vacuum. That way you can reduce your allergies. Pollen, dust, and dander aren’t the only allergens in your home. Mold is a common allergen that can send you into a tizzy of sneezes and itchy eyes. Clean your bathroom regularly, and keep your bathroom well ventilated, especially when bathing or showering. That way you’ll reduce mold build up. Keep allergies away and protect your home with these allergy prevention tips. Protect your home from disaster and invest in the right homeowners insurance. Contact the professionals at Robert J. Los Insurance Agency to find you the right insurance. Located in Hamburg, New York, we serve all your personal and commercial insurance needs.